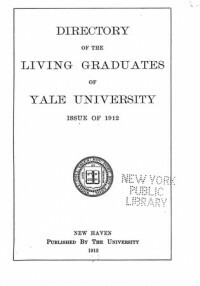 The year 2013 marks the 100th anniversary year of the Yale Alumni Corporation of Rochester. Here is some interesting history of the Club’s beginnings rediscovered recently: The club was incorporated on May 12, 1913 in New York State for a filing fee of $11.20. Its first Board of Directors of five men comprised S. Sidney B. Roby, Nathan G. Williams, Henry H. Covell, R. Bruce Lindsay and J. Allen Farley. 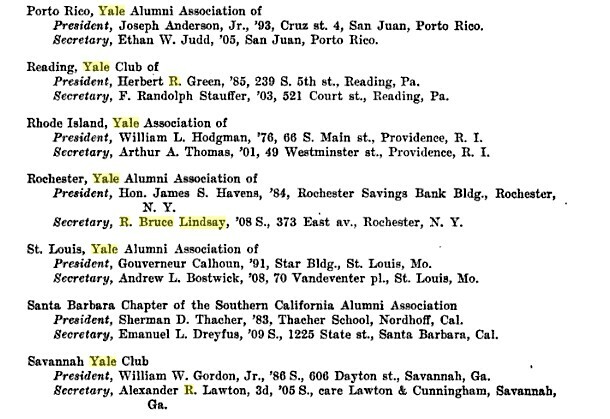 Other Yalies in that first year of incorporation included Joseph S. Hunn, Joseph Roby, Raymond H. Arnot, John E. Durand, Ernest B. Millard, Paul Howard Converse, Hugh Satterlee, Henry H. Stebbins, Arthur Robinson, and Harry A. Rightmire.